I had been on the look out for an armrest and found this one on ebay. Has anyone tried this? There is one on the Dacia accessories site and as my sis is coming in December I can get this one too. Took the test drive of Duster 85ps RxL version from RENAULT Palace Orchards last week. The car was a breeze to drive within the city and test drive was good. But what turned me off is the interior plastic quality. The demo vehicle had done just 9000 kms and i could hear some rattling noise on the front door. When enquired with the sales person he was clueless and said that since it is a demo car this was not serviced and hence the rattling sound . No discounts and one need to wait for 5 months to get the vehicle. Coming back home i did a small comparison between the UK specs and Indian specs of the Duster. 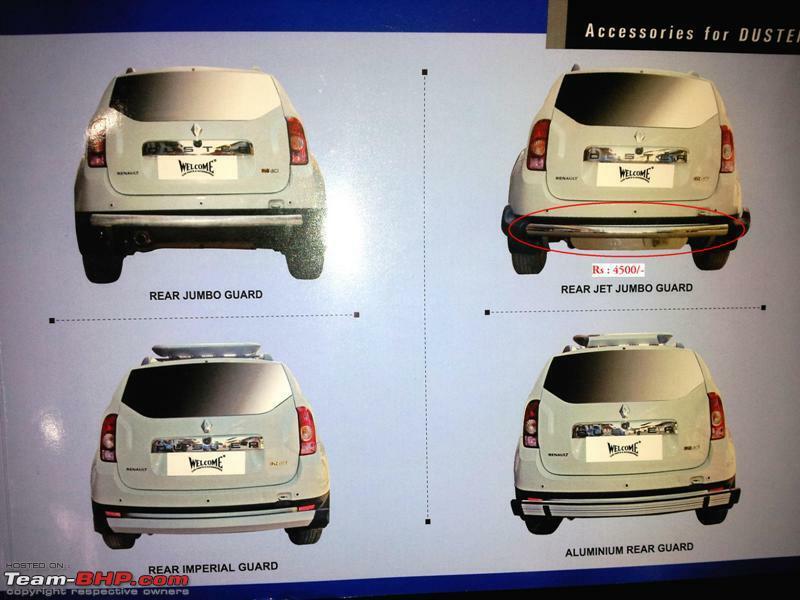 Renault is taking us for a ride by not even providing the essential safety equipments in 10 lakhs+ car. The car is locally manufactured and i feel they have priced it really high.Kindly look at the below comparison between 110ps UK Ambiance model and 110ps RxL Indian model. Thanks for sharing Prakash. I also noticed this a few days back. The reason for the difference I thought was the branding of the vehicle in the U.K. It is a Dacia, period. Nothing else can justify this pricing strategy for two siblings manufactured at the same plant right next to each other. Case in point is how the product is marketed in the U.K: "shockingly affordable" whereas in india it is marketed as "shockingly comfortable" or something. 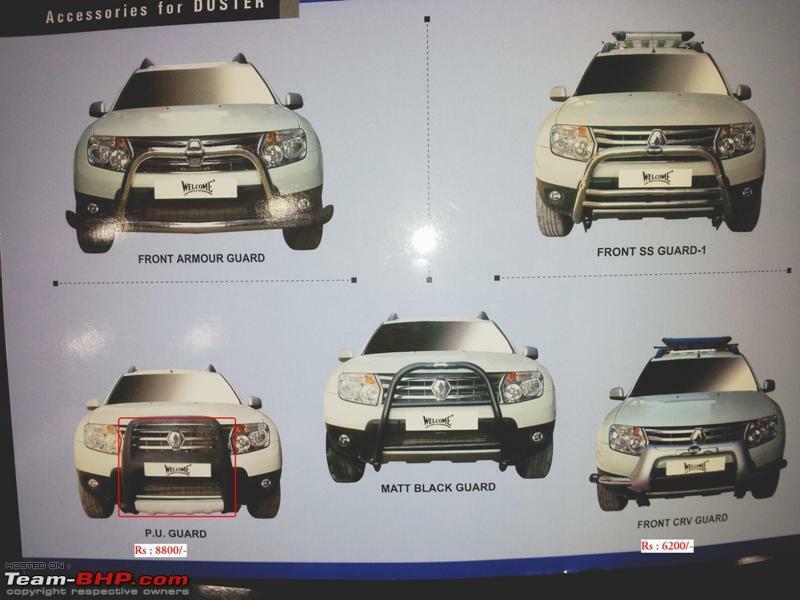 This is the reason I eagerly look forward to Nissan's version of the duster to be launched next year. Although it might not come as cheap as the Dacia duster, it will be better than the Renault counterpart. Hope it happens sooner. PS: I don't think Renault / Nissan will offer the safety features on offer in the U.K like the ESP & traction control or even the 4x4 variant in India. 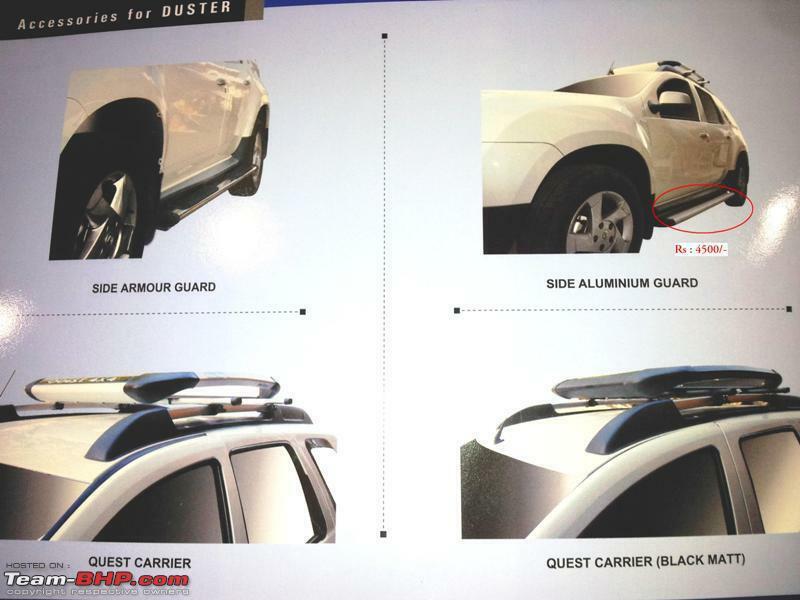 Yes I agree, Nissan's version of the Duster would also hopefully iron out some of the quirks that the duster has. Even if it's not as cheap as Dacia, it'll be cheaper than Renault which in my opinion would make it rightly priced. 100% Spot On! I am completely with you on this finding and analysis. Indeed, this was one deep irritant for me,when I was researching the Duster. I feel Renault has o business promoting this kind of 'double standards' across markets. The Japanese have been doing this for years and we have been swallowing it, so I guess Renault thought they could get away too. By this set of comparison yardsticks,the Yeti did not compromise on anything for the Indian consumer vis a vis the UK/ Europe consumer. What is sold as the Elegance version here is called the Experience version there and both these have the same equipment levels and are priced on par as well. The only difference is that the UK/Eur versions have a number of optional extras which are not yet there in India. The Yeti can be compared with the Duster in many ways, while it is certainly more expensive both abroad and here in India. But the above facts show clearly that Skoda has offered the consumers much more than Renault has, particularly in India. Last edited by shankar.balan : 25th November 2012 at 06:31. Got the 'ignition coil and engine lamp glowing' issue checked at the service center on Saturday. The indications haven't reoccurred after that trip to Tordi. There were no error codes logged in the ECU. So I guess there's nothing to worry about. PS: BTW my dad is a big fan of the floor mats provided by Renault. These and the mud flaps were fitted on his visit to the service center on Saturday. He likes the way they snugly fit in the floor area and have a wel-crow like finish on the underside so that the mats don't slip on the carpet and stay in place. I haven't sen the mats in person/pictures are they Kagu-like? The Renault mats attach to the floor carpet via 2 buttons. So there is no slip. The 3D Kagu mats look better but the Renault mats don't look too bad compared to other options in the market and do their job just fine. I'm not sure if anyone has noticed this but when you unlock the car and don't open the door for 25 seconds the door locks itself. This is a nice feature available in many European cars. It is there in the Yeti and Laura too. Not sure about the Rapid and Fabia but I guess it should be there. Only hassle could be if you open the car, leave the key in inadvertently and then shut the door while doing some other work and then it goes and locks itself. Once you open the door, then it does not lock by itself. Sometimes we remotely unlock the doors and then for some reason we forget about it , thats when this feature helps. Its there in my i20 too. Most cars nowadays have this feature. Just to be clear, once you open the door and then shut it again, will it self lock? For purposes of argument, lets say the keys are inside the car, on the seat or somewhere, by mistake. In a case like this, will the car lock itself? Or is this feature just to handle situations like the one you described above? Once you open the door and shut it again, the car will not lock itself. Its only when you don't open the door, the car will lock itself as a safety feature. I have tried it on my i20 and it works as I have mentioned. You can try that on your Yeti. It also works like that on my Jetta. Great! Thanks for the clarity. Its a very good feature for absent minded chaps! Yes, that's a safety provision for virtually all current remote locking systems today. It's not just your Duster. Oops, I see this has already been answered. Please delete this post if not appropriate. Last edited by kaiserketkar : 26th November 2012 at 08:21. Yep this is a feature on a lot of new locking systems, but I just wanted to point out that it is also in the Duster ;-). Welcome has come out an accessory basket for the duster. Here are some photographs. The photographs were taken off the brochure and with a cell phone... sorry for the quality. Does anyone feel that the quality of sound in telephone conversations over BT is bad? Specially the other person reporting a lot of echo of their own voice and unclear communication?